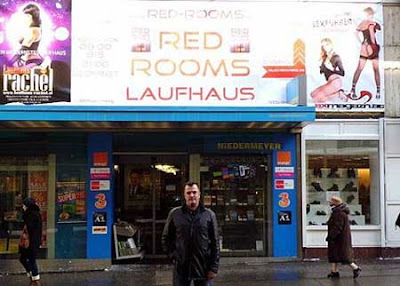 Because the homeless are at risk during the cold snap that has struck much of Europe, a brothel owner in Vienna, Austria has opened his heart and his doors to the homeless of that city. Peter Laskaris, the owner of The Red Room Laufhaus, began opening his doors to the homeless when temperatures began to hit 20 below zero. He explained: "We are not really doing much business in the current cold weather anyway and it is the school holidays - a lot of people are off away with their families. Lots of our rooms are empty and it seemed a shame not to use them for a good cause." He currently has ten empty rooms that are available, other services not included. Each room comes with a bed and a private shower. Each guest will receive clean bedding and towels each day. He is also providing a hot meal for each guest. He hopes to start a trend. If the other brothels in the city follow suit it might well save quite a few lives. He shames us with his virtue.